My brother, Maarten Bodlaender, visited in the summer of 1998 China. 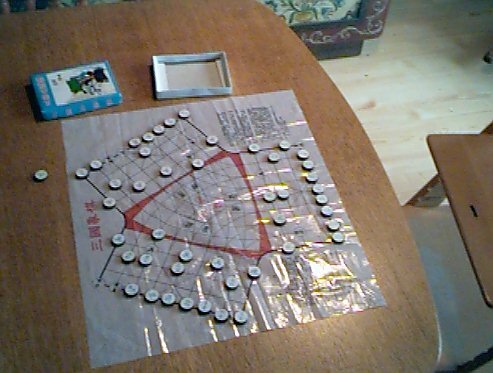 During this visit, he received as a gift a three-player xiangqi set. 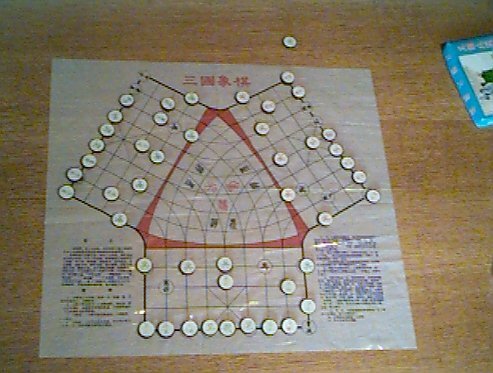 Xiangqi is the variant of chess, as it is played in China. Three player variants of the game are already mentioned in Murray's History of Chess, in 1913. 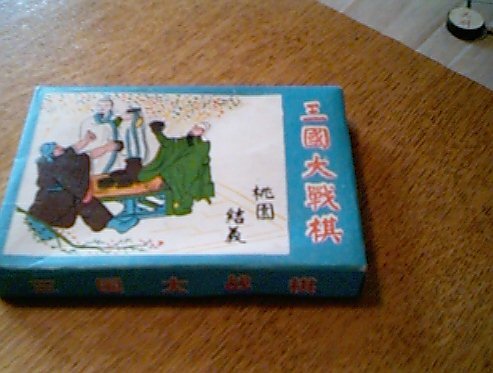 The variant my brother showed me seems to be one of the two variants, mentioned by Murray - it represents the battle of the three kingdoms, although there seem to be small differences. Two slightly different three player chess variants are The Game of Three Kingdoms (of which this game seems to be a variant with a somewhat different board) and The Game of Three Friends. 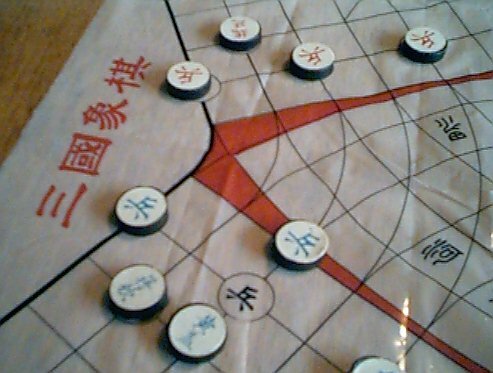 Each player has a standard Xiangqi army. 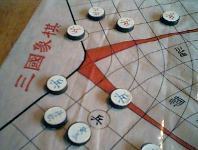 The area in the middle of the board is never occupied; these lines only signify lines that are crossed by the pieces of a player when the move from one of the three `players areas' of the board to another. The set consisted of a small carton box, plastic pieces, and a very thin plastic board. The photo's were made by Hans Bodlaender, with a Kodak DC20 camera, donated by David Howe. Text written by Hans Bodlaender. 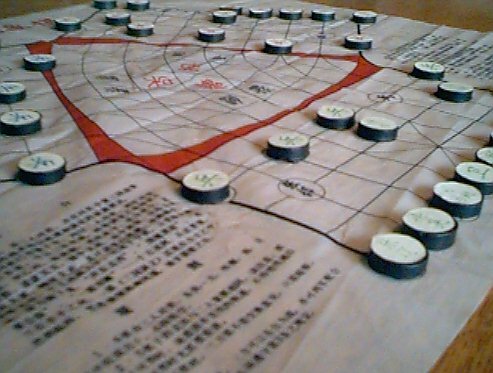 The game of three kingdoms. 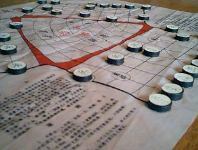 Photo's of a three-player Xiangqi variant.